David Chollet is a partner at Accuracy. He has 17 years of experience in financial management, risk management, securitisation and asset valuation. He started his career at BNP Paribas in the planning department, in charge of risk management. After 5 years within the BNP Paribas group, David entered Crédit Agricole Corporate and Investment Bank to manage the risk quantitative team. David subsequently joined the Debt and Capital Markets Front Office team and participated in numerous Pan-European operations of ABS, CLO, CDO and Covered Bonds. In particular, he structured different structured credit transactions issued on the market. David speaks English and French. Business plan modelling for various financial institutions. Asset Liability Management Modelling for both bank and insurance institutions. Implementation of economic capital (Pilar 2 of Basle 2). Implementation of stress test tools for structured products and securitization transactions. Implementation of provisioning models (individual, collective) for different portfolios (retail, corporate, sovereigns, correlation book). Rating model and credit analysis for SME and large corporates. Buy-side financial due diligence on a proposed acquisition of a subsidiary of a major bank in France. Buy-side financial due diligence on a proposed acquisition of a Leasing portfolio. Appointed as independent expert to assess the EIRD market and quantify the market shares of different players. Appointed as independent expert to review a portfolio of mortgages, denominated in Swiss francs, work included identification of the banks responsibility and quantification of the financial impact for the clients. 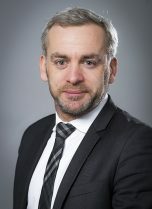 FRENCH BANK: Appointed as financial expert in a dispute related to breach of contract. Our work comprised the valuation of a bank operating in Africa (ICC Paris). AFRICAN BANK: Appointed as independent expert to assess the credit granting process. Review of the credit rating, collection and litigation process.